These sales are going to be included in our Chinese National Day List, but I thought they were worthy of some extra attention. Let’s start with Fasttech. 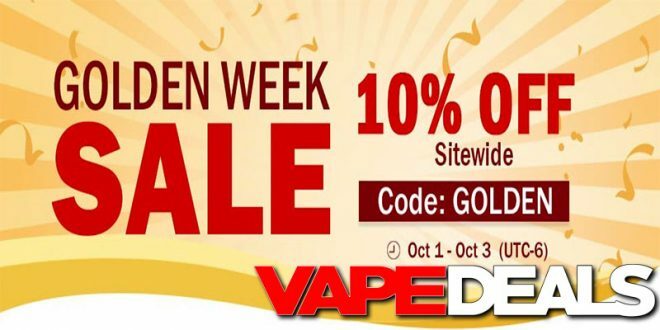 They’re offering a 10% sitewide discount when you apply coupon code “GOLDEN” at checkout. And, of course, most orders will qualify for Worldwide Free Shipping too. You’ll have to move fast though—that coupon code expires on Wednesday (10/3). 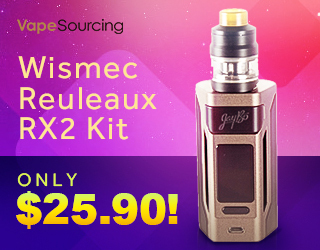 I’d also recommend checking out the sale over at 3fvape. You can get 8% off all week with coupon code “2018NATIONAL”. They’ve had some amazing deals lately, so that extra discount could seriously pay off. Stop by and have a look for yourself. And keep in mind that shipping is free on orders over $15.